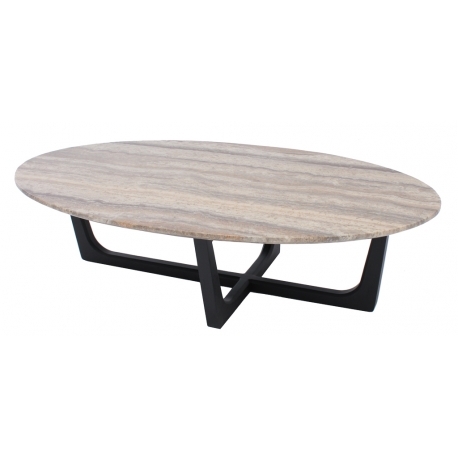 LAU-LAU coffee table, as shown, Trevi Silver marble imported from Greece, a gorgeous patterned table top all natural and polished with a solid matte black ash base. At JG CASA we manufacture your table under strict standards to ensure the highest of quality for a long lasting life. The table top is constructed from Trevi Silver marble, which is imported from Greece and considered as one of the best in the world for its durability and natural look. Due to the nature of marble, no two table tops will have the same pattern. These differences should be expected and appreciated. The table legs are solid ash, one of the hardest hardwoods and is known for its durability. Not suitable for outdoor use.